Planting grass seeds is a painstaking, yet rewarding task. As you look upon your newly seeded lawn, you hope to see fresh blades of vibrant grass poking through the soil. Unfortunately, a variety of factors may cause your newly seeded lawn to turn yellow. Yellow grass may be caused by a variety of factors. If you are not watering your lawn frequently enough, the grass may become dry, weak and yellow. According to The-Lawn-Advisor.com, newly planted grass seed should be watered often enough that the soil is kept consistently moist. Once the grass seed has established itself in the yard, watering can be done less frequently (every two to five days, depending on the season). Soil with imbalanced nutrients might also lead to the development of yellow grass. The most commonly imbalanced nutrients include a deficiency of iron or an excess of phosphorous. 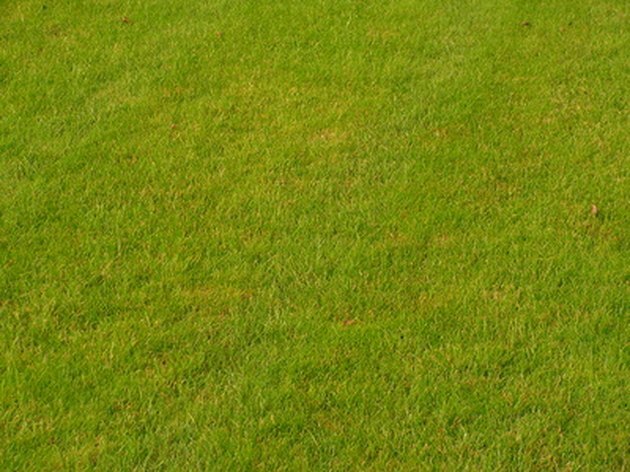 If this is the cause of your yellow grass, treat the problem by fertilizing the lawn with a product low in phosphorous. 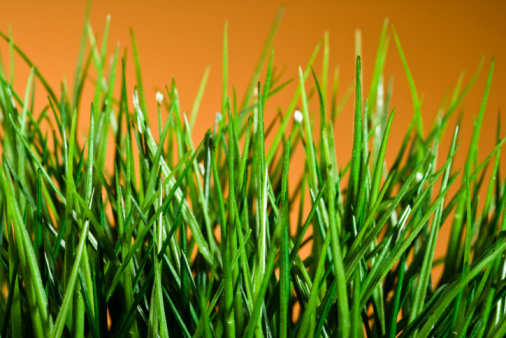 Harsh chemicals, including insecticides, fertilizers and animal urine, can easily damage delicate grass seeds and blades. To prevent lawn burn, follow product instructions carefully. If possible, prevent animals from urinating on the lawn. Once the grass begins yellowing, combat it with frequent and heavy watering. Unfortunately, grass fungus can attack your lawn at any time, and without any warning. According to AllAboutLawns.com, the "rust" grass fungus turns grass light green or yellow. It is often caused by heavy dew in a warm, moist climate. If you suspect this is the problem, use a nitrogen fertilizer and water the lawn frequently. Why Is My St. Augustine Grass Yellow?